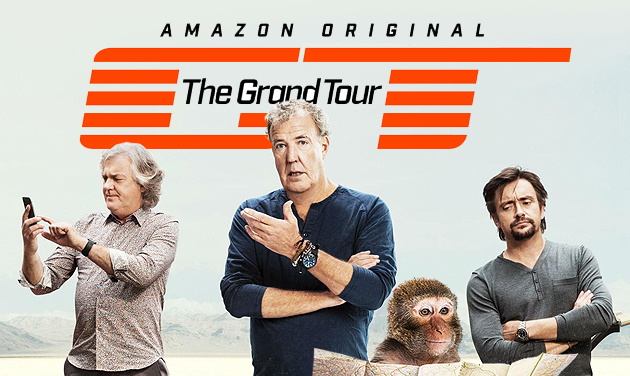 So after months of waiting, it seemed as if season 2 of the Grand Tour flashed before our eyes, and following the Mozambique special, it’s now over. Naturally, this seems like the perfect time to reflect on what I feel has been am improved sessions from Clarkson, Hammond and May. Read on to view my thoughts in greater detail. One of the biggest criticisms that came from season 1 was ‘The American’, Mike Skinner. He tried to inject humour by being crash and opinionated, but The Grand Tour already has someone for that job, and his name is Jeremy. On the whole, he – The American, not Jeremy – was just rather irritating, and you’d often wish he would shut up. In fairness to him, he could have been told to ham it up for the camera by the production team, but either way I’m sure there weren’t many people disappointed when he left. Well, he would have been of course. I’ll admit, the first time the GT boys rolled out the celebrity death gag, it was rather funny. James May’s ‘Does the mean they’re not coming on then?’ question was well-timed and effective, but when you are going to use the same predictive gag week-in, week-out it’s bound to wear thin very quickly. It also felt like a bit of an insult to the viewer as well if you ask me, as it just seemed like a ridiculous way in which to waste our time. Thankfully, the GT production team realised this was an issue that needed to be addressed, so instead of culling celebs, they stuck them in a 2.0 litre F-Type instead. Granted, the opening intro is rather cringeworthy, and it looks like a child made it, but I’ll take that compromise if the following content is going to be of a richer nature. The celeb pairing may have been random, but other than Rory McIlroy and Paris Hilton, all the interviews provided decent chemistry and entertainment. 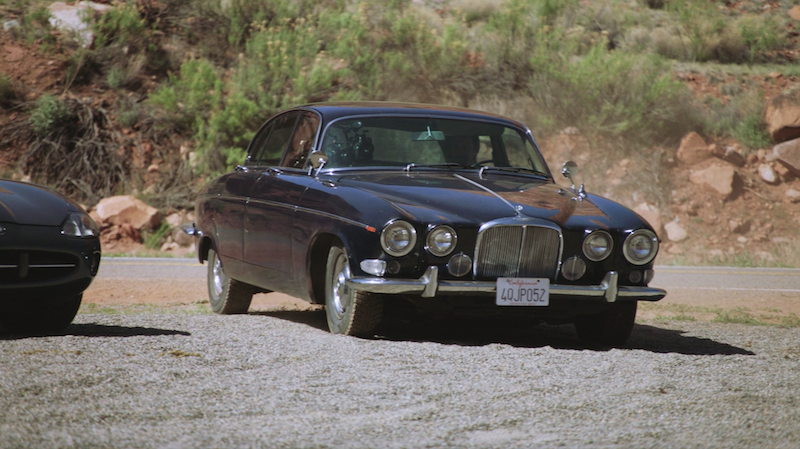 Seeing that expensive Jag get abused on that gravel still makes me cringe though – it looks so painful for the car! Don’t get me wrong, I like the silliness that the trio bring, it’s what makes them so entertaining. However, when Clarkson made that car out of dead animals last season, or when they tried to make a coral reef out of old cars, it just seemed a bit too whacky. Oh, and that pointless film they shot in Jordan – what were they thinking?! There was of course some silliness in season 2 – there had to be – but it felt a bit more down to earth. Ok, maybe that’s not quite the right phrasing, given that Hammond and May tried to come up with a silly, but funny way of refuelling a car whilst on the move. What I mean, is that it feels like it’s been reigned in a little bit, which may disappoint some, but I welcomed the change. The Grand Tour has often been criticised for being too scripted, and there is a good chance I’ve made a similar remark in the past. So the trio challenged this by making an unscripted film to prove that without a script, it all goes to pot. I liked the idea, although the cynic in me feels that there were certain parts of the film that were still scripted, but of course we will never know. Either way, it made for a film that was interesting, and something different from the norm. One of the things Season 1 got right was superbly shot car features and that continues in to the second season. 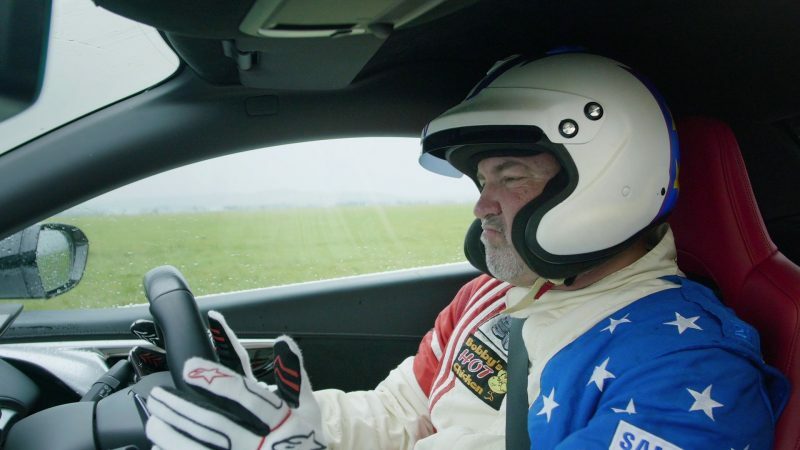 My personal highlights were Hammond’s test with the McLaren 720S, although I loved the editing job done for Clarkson’s test with the Huracan Performante. 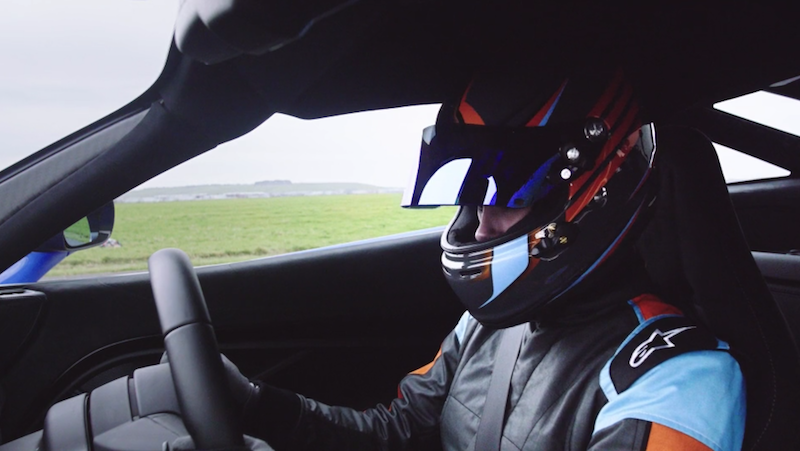 This feels like a long time ago, but the NSX v Rimac v Aventador S also feature fantastic cinematography although as a true petrolhead I would like some more nerdy information, but thankfully Top Gear’s Chris Harris is able to satisfy those needs. It may just be me, but I felt that some of the banter in season 1 was forced and partly artificial, which I found odd as the three of them have been working together longer than they care to remember. However, at times the banter just felt a bit awkward and there were times were it didn’t seem to flow freely. There was no such problem in season 2, and maybe that’s because they’ve got used to the new format, or as silly as it sounds, maybe they feel more comfortable given the fact they are always presenting to a home audience? All-in-all then, I feel season 2 was a hit and it was definitely better than the season before it, although episode 1 of season 1 still remains my favourite episode so far. However, there were still some areas that weren’t so good. No, no, no, I’m not going to criticise that the new driver is a female, in fact I’m alls for that. Nor is it because I have anything against Abbie Eaton, as to be honest, I know very little about her. No, I just found her role odd, as her name is clearly stated in the titles, yet her name is never mentioned or referred to, which I find odd, and in truth, a tad disrespectful. 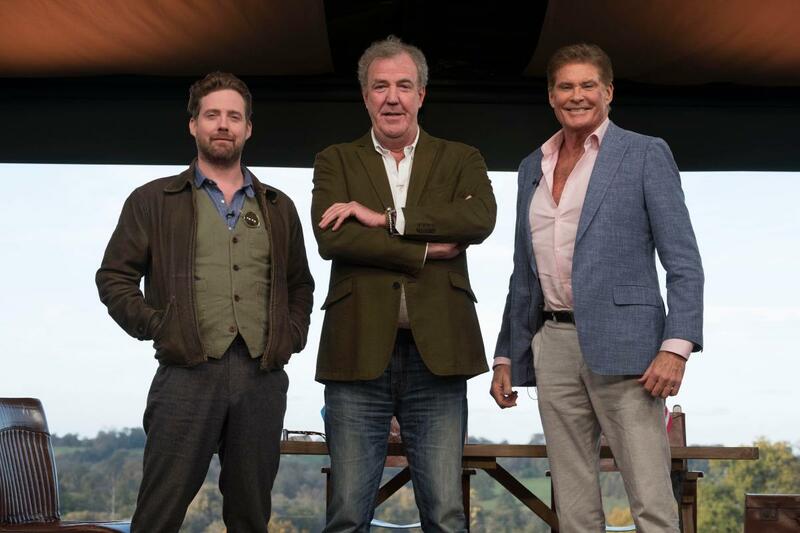 I love the fact that the three of them are able to joke about Hammond’s near fatal crash, although I imagine his wife probably winces whenever The Hamster drives a supercar. For the most part, these jokes hit the mark, but when you get to episode 3 and they are still firing the gags out as if it’s going out of fashion it does become a little tiresome. Thankfully they died down once it got to mid-waypoint, meaning that some jibes towards of the end of season regained their potency. 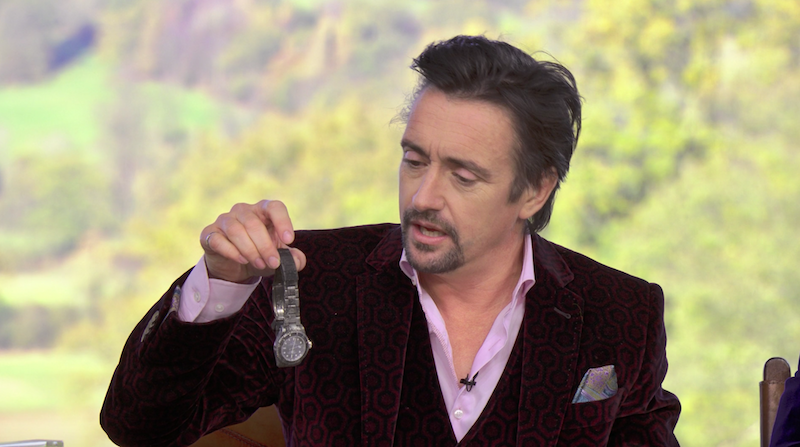 Hammond gets reunited with his battered watch he was wearing at the ‘time’ of his crash – get it? 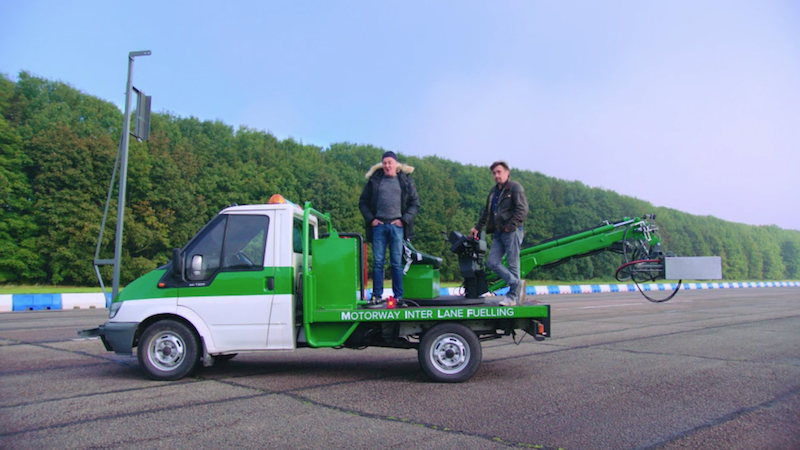 One of my favourite things on Top Gear were the cheap car challenges, as they provided much entertainment and I love seeing what cars the trio choose. Granted, you had the cheap Jags around the middle of the season, and there were indeed challenges, but I like the format where they actually had the whiteboard and they would tot the scores up so there was a clear winner. The whiteboard did make a brief appearance in the unscripted episode, but that was there more as a gag. Mind you, I did really enjoy the Jag film so maybe I’m being too fussy here. I’ll be honest though, these are rather minor complaints, and other than those, I can’t think of much wrong, although I will say that it felt like it took some time for the season to find its groove. It was worth it though!